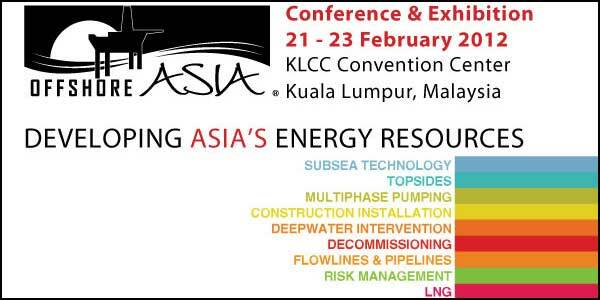 Offshore Asia Conference & Exhibition is back for year 2012. This 3 days event will be held on 21-23 Feb 2012 at KLCC Convention Centre, Kuala Lumpur, Malaysia. Offshore Asia has announced the Preliminary Conference Program with more than 50 international speakers over 2 tracks. An exhibition showcase of technology and capabilities to support improvements in E&P operations. • An exhibition showcase of technology and capabilities to support improvements in E&P operations. • A world-class technical conference program with a great range of topics. production activity across the entire region. • Opportunities to network with your peers and industry professionals. • Discover the delights of Kuala Lumpur.